We are a leading Exporter of base flange and wall flange from Jalandhar, India. We are a highly acclaimed name to offer best quality Base Flange that is known for its fine finish. Used on structures where the fixing required is positional only. 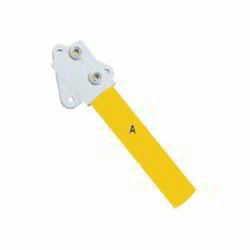 Frequently used as a wall fixing bracket. Holes provided for countersunk fathead screw fixings only. We firmly believe in offering wisely manufactured gamut of Wall Flange to our esteemed customers. Side fixing for guardrail and balus- trades to walls, parapets, steps, and ramps. The upright cannot drop through the socket.